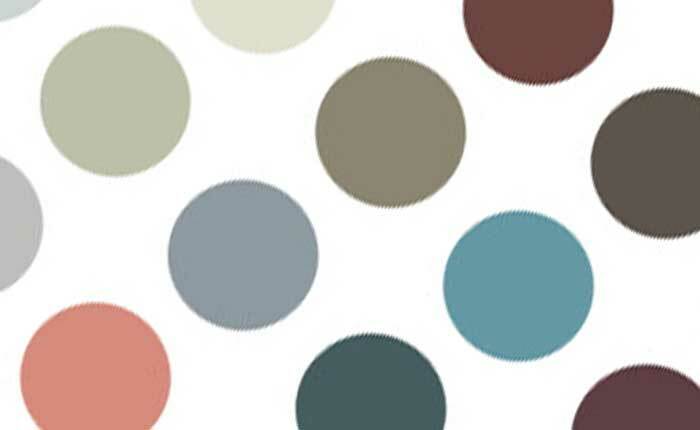 Colors for 2018 have an air of quiet sophistication with beautiful palettes crafted to enhance your mood and environment. A modern approach to neutrals is a key feature with our Color of the Year Plume Grass as a perfect example. This delicately tinted neutral from our Eco-Chic collection hints at the softest green of wild summer grasses to blend effortlessly inside and outside of your home. Nature’s gifts will forever inspire our décor, and with this capsule collection of gentle outdoor hues we bring the delicate interplay of color and light inside. The grounding tones of Day Spa and Moonscape are elevated with the whisper of Plume Grass and misty Metal Flake. A subtly green tinted shade capturing the swaying of wild grasses in a summer breeze. This atmospheric hue is the epitome of a modern neutral, clearly tinted but delicately balanced making it perfect as a fashion statement with a timeless feel. The retro inspiration and innovative combination of fresh hues and contemporary neutrals within this palette feels at once surprising and familiar. Summer Memory rekindles our love affair with a vibrant coral calmed by the refreshing Plunge green and a duo of subtly nuanced greys. This harmonious quartet of serene classics inspire a mood of reflection and inspiration. The uplifting warmth of Blessed Blue and the rich depth of Kung Fu are showcased by the modern neutrality of Au Natural and Burning Idea. The most perfectly balanced palette of color perfection. From the decadent luxury of Wildwood and Berry Crush to the cool elegance of Soft Leather and Italian Ice. A gentle pink breath of Cliffswallow is the most contemporary of highlights.